Five years after it launched, the PlayStation 4 is now entering the end of its lifecycle. That's according to PlayStation head honcho John Kodera, speaking during Sony's Corporate Strategy Meeting, which was aiming to set out Sony's stall to investors for the coming years. 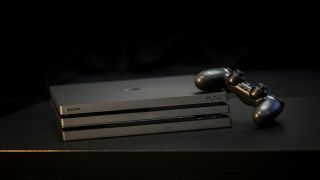 While Sony is still very much fully behind the console, it warned that sales were expected to slow to 16 million consoles this year, down from 19 million over the previous 12 months. That's in line with the company's wider expectations – after all, having sold close to 80 million consoles at this point, finding someone who hasn't got a PS4 and still wants one is getting tougher. Sony doesn't seem too concerned about that however – having reached 80 million active PSN users per month, its subscription service is a healthy repeating revenue stream, while titles like The Last of Us 2 and Days Gone are expected to drive software higher. However, it's not quite as rosy an outlook for PlayStation VR and PlayStation Vue. The former remains the best-selling high-end virtual reality headset, but still hasn't met Sony's internal expectations, while the Vue streaming service has battled hard against the likes of Netflix, but still isn't gaining much traction. But these may be of little concern to Sony, which seems to have bigger things on the horizon. Kodera stated that the time passing now until 2021 would be a period where Sony would hunker down, suggesting that a new big idea could be around the corner. Could this be the PS5 console? We already know not to expect new hardware at this year's E3 show, but are hearing rumors of dev kits for a new Sony platform being sent out to developers. Could 2021 be the year the PS4 gets a new, souped-up brother?